The Quest Carbon Capture and Storage (CCS) Project, developed by Shell as part of the Athabasca Oil Sands Project (AOSP) in Alberta, Canada, is the world’s first commercial-scale CCS project for an oil sands operation. The Quest CCS project captures, transports and stores underground more than one million tonnes of CO² from Shell’s Scotford Upgrader near Fort Saskatchewan, which was opened in 2003 to process bitumen from Muskeg River and Jackpine oil sands mines of AOSP, a joint venture of Shell (60%), Chevron (20%) and Marathon Oil (20%). As the designer, builder and the operator of the Quest CCS, Shell started construction on the $1.35bn project in September 2012. The CCS project began operations in November 2015. It cuts down one-third of direct CO² emissions from the Scotford Upgrader, which is equivalent to taking 250,000 cars off the road annually. Scotford Upgrader produces synthetic crude oil by adding hydrogen to bitumen derived from the Athabasca Oil Sands extraction. The upgrader’s steam methane units that produce hydrogen for upgrading bitumen are the main source of CO2 emissions at the facility. The Athabasca Oil Sands Project is the latest fully integrated oil sands development in 25 years. The Quest carbon capture facility captures CO2 from the process stream by using an amine solvent. The CO2 is then separated from the solvent by applying heat. The captured CO2 is dehydrated and compressed into liquid form before being transported via a 60km underground pipeline to a storage site in Fort Saskatchewan located 50km north of the Upgrader facility. The liquid CO2 is injected through three previously drilled injection wells into the porous rock formation called the Basal Cambrian Sands (BCS) for its permanent storage about 2km beneath the ground. At the time of injection, shallow groundwater is protected by three separate barriers of borehole steel casing all cemented in place for each of the three injection wells. The formation contains saltwater or brine, which are replaced by the liquid CO2. The liquid is stuck in the small pores of the formation. As time passes, a growing percentage of the liquefied CO2 dissolves in the brine and sinks to the bottom of the storage. The BCS formation is located beneath three sealing layers of impermeable rock, salt and shale, which provides effective barriers to keep the CO2 contained deep underground. Sophisticated monitoring technologies ensure that the CO2 is permanently stored. A funding agreement was signed between Shell and the Canadian and Alberta Governments to secure $865m for the Quest CCS project in June 2011. The Alberta government provided $745m from its $2bn CCS support fund, while the remaining $120m was provided by the Canadian Government through its Clean Energy Fund. Shell shares the CCS technology used in the project with the governments as a part of the agreement. Shell’s measuring, monitoring and verification (MMV) technologies and systems are used to ensure the expected performance of the storage site. Shell’s patented ADIP-X amine-based capture technology was refined and is being used at the CCS project to recover 98% pure CO2 from the upgrader’s hydrogen manufacturing units. Fluor’s 3rd Gen Modular Execution proprietary technology was used to design the capture unit of the project. The technology significantly decreased the plot size of the unit while improving safety by relocating 90% of the field construction hours to a module yard. The CO2 is dehydrated before being transferred to the pipeline to protect against corrosion in either the pipeline or the wells. The bottom sections of tubing within the injection wells are also made of chrome steel to prevent further corrosion. The 60km pipe is made of low-temperature carbon steel with specific toughness requirements. Shell ensured that the storage site is not proximate to any legacy wells drilled into the BCS or its sealing formations. Approximately 50% of the construction work was carried out at an offsite construction yard and third-party construction facilities in Edmonton were used. The final preassembled model for the capture unit was fitted in August 2014. Mechanical completion of the underground pipeline was completed by the end of 2014. "The 60km pipe is made of low-temperature carbon steel with specific toughness requirements." The construction of the Quest CCS Project involved approximately 400 skilled trade workers on an average for approximately 30 months, while approximately 2,000 workers were involved in the project. Det Norske Veritas (DNV), an international risk management firm, awarded the Fitness for Safe CO2 Storage certificate to the Quest CCS project in November 2011. It is the first such certification awarded to any CCS project in the world. Quest is also the first project to receive rights to inject CO2 into underground rock formation in Alberta under the new provincial CCS legislation 2011. In September 2013, Shell contributed the Quest project to COSIA’s (Canada’s Oil and Sand Innovation Alliance) Greenhouse Gas (GHG) Environmental Priority Area (EPA) making accessible the technology and the related intellectual property of the project to any member of the GHG EPA for use in their own oil sands operations. Flour was the engineering, procurement and construction (EPC) contractor for the Quest carbon capture facility. Texas-based company KBRin was awarded the off-site modularisation and pipe fabrication contract for the project in April 2013. 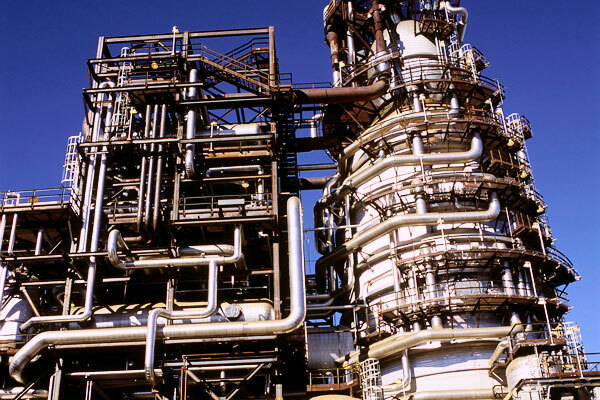 GE’s multi-stage centrifugal SPS™ surface pumping systems, drives, controls and communication systems are well-suited to a wide range of high-pressure, heavy-duty petrochemical, refining and chemical processing applications.